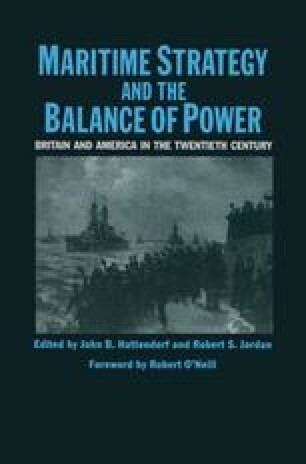 In our view, the balance of power is a means to an end in international politics, not an end in itself. It is the means by which a state can prevent another from dominating world politics. At the same time, a balance of power creates a situation which allows a state to ensure its own safety and to promote its own interests and objectives. This system imposes limits on the degree and the range of objectives which a state can pursue, and this is true even if a state does not self-consciously pursue a balance of some sort. A balance of power is inherently self-limiting. It prevents hegemony by any single Power, and operates within the context of political pluralism. Fortunately as regards other states, we [in the United States] are an island power, and can find our best precedents in the history of the people to whom the sea has been a nursing mother.